Gathering Data For Your PhD – New Book Launch! You may remember that just two months ago, on this very blog, I announced the start of my indie publishing career. I’m publishing a range of short e-books for doctoral students, and the first one was Starting Your PhD: What You Need To Know, launched on 8 September. I’m delighted to launch the second one today: Gathering Data For Your PhD: An Introduction. Just like the last book, it’s available for the price of a coffee: $2.99/£1.99/E2.99 or thereabouts – exact prices may vary slightly with different distributors. Talking of which, it’s available (or will be any minute) from all the major players: Kindle, iBooks, Kobo, Nook etc. This seems a perfect time to launch my latest oeuvre, as it’s the first ever Academic Book Week here in the UK. There are loads of events and discussions happening all over the country. There’s very little, though, about indie publishing – perhaps because Academic Book Week mostly involves traditional publishers and booksellers. I want to emphasise here that I don’t see indie publishing as a rival to traditional publishing, though I guess there may be some booksellers who wish digital books had never been invented. I love p-books and I don’t want, or expect, them to disappear. But I think there is also room for e-books in academia, and it surprises me that so few academics and alt-acs are taking up this opportunity. Starting Your PhD – New Book Launch! I’m launching my Top Secret Project today. 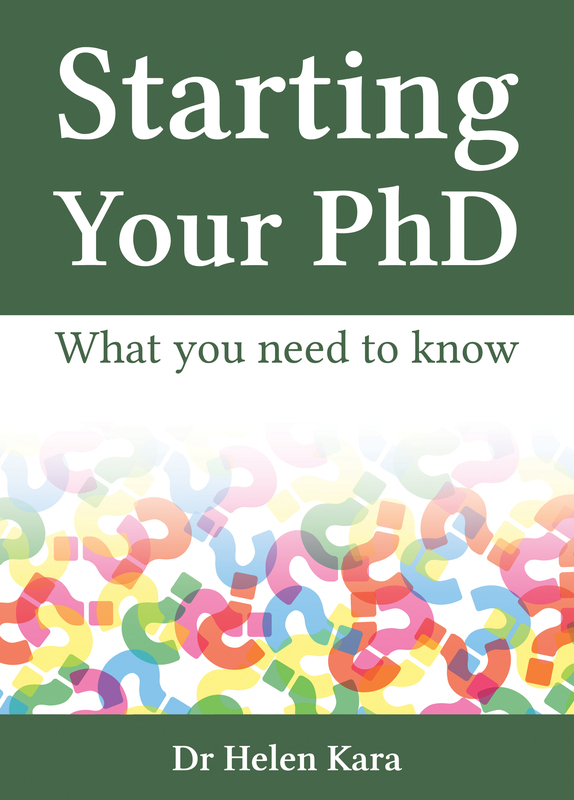 It is a short e-book (11,000 words) called Starting Your PhD: What You Need To Know. I published this e-book myself, under the Know More Publishing imprint (see what I did there?! ), which I set up for the purpose. The book is available via Kindle, Kobo, Nook, iBooks, Scribd, and Inktera. So as well as being an indie researcher and writer, I’m now an indie publisher too! I wrote three drafts of the e-book, each of which received feedback from a small group of different beta readers, including people who might do a PhD one day, current doctoral students, and experienced supervisors. The final version was professionally edited. I am very grateful to my beta readers and to my editor, each of whom provided input which improved the book’s quality. And you can buy the fruits of all this labour and experience for the price of a coffee: approx £1.99/$2.99/E3.29 or equivalent (actual prices may vary slightly due to circumstances beyond my control). The second volume is scheduled for publication in November, and I aim to publish the others in the course of 2016. This is an exciting new venture for me. I’ve had loads of help already: from friends, colleagues, people I’ve met online, and the Alliance of Independent Authors. I’m proud to be a member, and would recommend them to anyone; their closed Facebook group is an invaluable source of support. Also, I’m particularly pleased that they have a code of ethics for indie authors, with the guiding principle of putting the reader first – a principle that guides all my writing. With that in mind, I need your help too, because there are some things you can do for potential readers that I can’t: tell them about the book, and write honest reviews to help people decide whether the book would be useful for them. Of course I can tell some people, but with my traditionally published books, I’ve had access to an established publishing firm which employed a range of professionals to help spread the word. As an indie publisher I am my own marketing, distribution, and sales departments. So it would be enormously helpful if you could talk about this e-book to people who might find it useful: people considering doctoral study, people embarking on doctoral study, or people supporting someone else through their doctoral study. When I say ‘talk’ I mean the virtual kind too, i.e. tweeting, blogging, Facebook etc. And I absolutely can’t, and wouldn’t, review the book I’ve written; that would be most unethical, so I’m completely reliant on others to give their honest opinion in a way that will help prospective readers decide whether it’s worth investing a few of their hard-earned coins. Doing a PhD – or a professional doctorate; the e-book is applicable to either – is an enormous undertaking. It can be really difficult even to start on this long, complex process, much of which is incomprehensible at the start. I began mine, back in the early 2000s, with a complete false start which cost me a year and a lot of wasted time and effort; I ended up at a different university with a completely different topic, supervisor, and discipline than I’d originally planned. I guess that is another reason I wrote the e-book: to help others make a more sure-footed start, and to save them tim e and effort. If this works for you, please do let me know, either in the comments or on Twitter where I always love to hear from my readers. 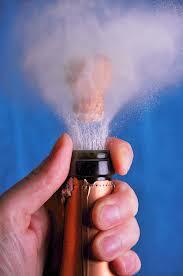 But for now: I declare my indie publishing career in general, and the Starting a PhD e-book in particular, open!